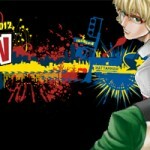 New York Comic Con – formally known in-part as the New York Anime Fest – is swiftly coming up with October just around the corner. 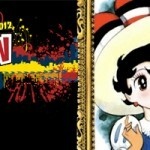 Leading up to the date with news of their guests and events, the convention announced Tuesday (via their mobile app) that they’ll be having three manga guests in attendance for NYCC 2012. *These series are rated 18+ for sexual content, and sometimes violence, so readers be warned if you’re curious of what they are! Toshio Maeda’s website also has a lot of mature imagery. The app lists Masakazu Ishiguro as a guest courtesy of JManga, while Moyoco Anno will be there as a special guest of Vertical Inc. JManga is currently releasing Ishiguro’s Soredemo Machi wa Mawatteiru (digital only) and Vertical Inc. just released a beautiful omnibus release of Moyoco Anno’s Sakuran this past summer. They have a few more details about her appearance on their newly relaunched blog. Vertical Inc’s marketing director, Ed Chavez, spent Monday teasing eager fans on Twitter with news that there would be a big announcement on Tuesday. Guesses ranged from new licenses to Vertical Inc going digital, but the closest hint he’d give was that the news would make some happy and others sad (“…will applaud but will be saddened all the same.”). The news is great for Vertical but I can’t say I was particularly happy or sad either way, finding the news rather lacklustre after all that hype. Then again I’m not someone who generally goes to conventions for the guests so that’s just me. None the less, I hope all three guests have a great time visiting the convention and meeting some of their global fans!